Today I thought of starting a series on planning a honeymoon trip in the Himalayas starting with selective honeymoon destinations in Himachal Pradesh. In the next article, I will write on the honeymoon destinations in Uttarakhand. When the winter arrives, so does the season for weddings in India. As the chill sets in, the newlywed couple will start heading out for their honeymoons to embrace the start of a new age of life and kick off a new beginning of togetherness. There are many romantic places in Himachal Pradesh where you can travel for your honeymoon. Each of these places has their own unique setting in the Himalayas and offers different options. Well, in today’s article, I will share with you a list of top 15 Honeymoon Destinations in Himachal Pradesh and help you choose the one that fits your bill and preferences. In upcoming articles of this series, I will also share more tips on planning a successful honeymoon trip in the Himalayas. When you have so many options to choose, it becomes difficult as well to pick only one for your honeymoon trip. So, the question becomes that how do you choose from this long list of Honeymoon Destinations in Himachal Pradesh? Searching for a honeymoon destinations in Himachal? I am going to categorize the list of these Honeymoon Destinations in Himachal Pradesh based upon certain criteria. It will help you decide the place for your honeymoon in Himachal Pradesh based on your personal preferences. I am sure there may be more hidden gems in Himachal Pradesh but these 15 places top my list of Honeymoon Destinations in Himachal Pradesh. I have also shared a tentative range of honeymoon packages in Himachal Pradesh with price as well in this article. If you happen to know any other honeymoon destination in Himachal Pradesh, please share the name and your brief experience in the comments section, I will be more than happy to add it to the list. Let’s looks at the honeymoon places in Himachal based upon the traits where you can mix the romance with snow, shopping, luxurious stays along with many tourists around. Kullu Manali is by far the most popular honeymoon destinations in Himachal Pradesh along with Shimla. A large number of tourists and honeymoon couples flood Kullu Manali region in winters. When you search over the Internet, you will be able to find Kullu Manali in hundreds of honeymoon packages in Himachal Pradesh in winter. How To Reach: Kullu and Manali are well connected with Delhi & Chandigarh by HRTC & HPTDC Volvo services. You can easily do the HPTDC bus booking online from its official website. You can either take overnight Volvo after reaching Delhi or Chandigarh or you also have an option to fly to Bhuntar airport at Kullu airport and then travel to Manali by road. For more details on how to reach Kullu Manali from Delhi or the best time to visit Kullu Manali, refer this Manali travel guide. Why Choose: Extremely popular among tourists, nice views, easy to reach and most likely place to access snow or snowfall especially in winters and spring seasons. Lots of hotels and stay options catering to all budget needs with luxury to budget honeymoon packages. Also provides shopping opportunities at Manali mall road. Next on the list of honeymoon places in Himachal is Solang Valley which is near to Manali. However, you can dedicate your honeymoon trip just around Solang instead of much tourist Manali. Many Kullu Manali honeymoon packages include a trip to Solang Valley as well. How To Reach: Solang Valley is just 16 KMs ahead of Manali. You can reach Manali as mentioned in Point (1) and then travel to Solang Valley by road. If you are taking Volvo to reach Manali, you will easily get a taxi at Manali taxi stand for a drop to Solang Valley or else you can ask your hotel guys to send a taxi to Manali bus stand for a pickup. Why Choose: Fewer tourists than Manali and excellent views. If you want to mix flavors of Manali but prefer to stay a little away from the hustle bustle of Manali but not that secluded, then Solang Valley makes much more sense to spend honeymoon time. Limited hotels and accommodation options are present in Solang Valley. How To Reach: Like Manali, Shimla also is well connected with Delhi & Chandigarh by HRTC & HPTDC Volvo services. You can either take overnight Volvo after reaching Delhi or Chandigarh or you also have an option to fly to fly directly to Shimla. People also prefer taking the toy train ride from Kalka to Shimla after reaching Kalka by train or road. 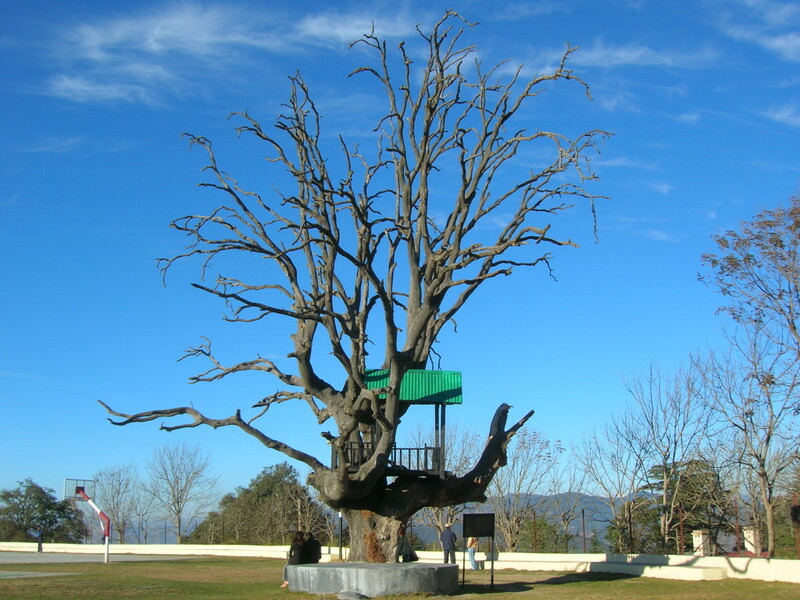 Chail is another little village near Shimla where many honeymooners love to spend their honeymoon. The Chail Palace from Himachal Pradesh Tourism is one of the best places to spend time in peace. How To Reach: Chail can be easily reached by road using the Himalayan expressway while coming either from Delhi or Chandigarh. If you prefer traveling by train to Kalka and then travel by road to Chail. Things To Do: Walks, hikes, visit Kufri for snow in winter and a day outing to Shimla for shopping and partying. Why Choose: Fewer tourists than Shimla. Like Solang Valley, if you want to stay away from hustle bustle of tourists and local rush of Shimla, you can choose Chail for a place to stay on your honeymoon. 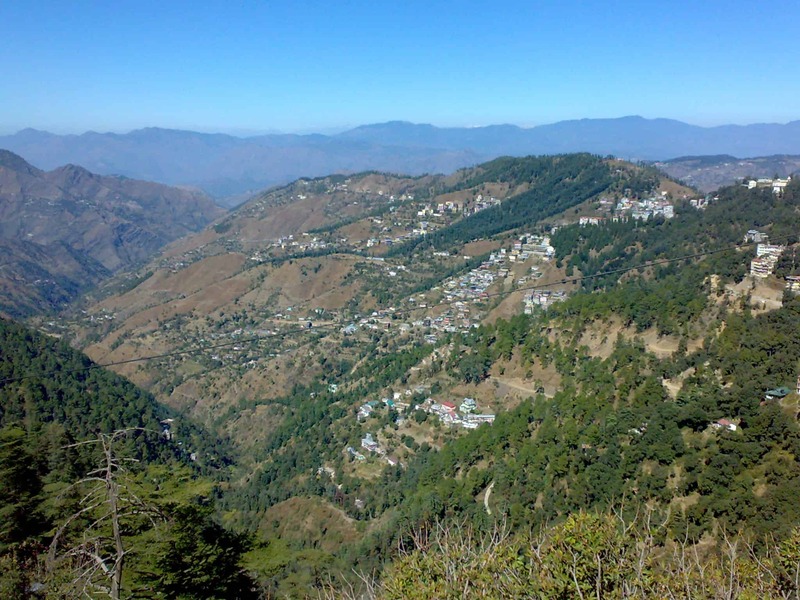 You will find peaceful walks and hikes in Chail along with quaint & less touristy environment. Limited options for stays. Next on the list of honeymoon places in Himachal Pradesh is Dharamshala – Mcleodganj region which is also very popular among tourists. You can get plenty of stay choices and some of them are worth staying just on Honeymoon. The view of Dhauladhars especially with snow carpet in winter is simply breathtaking. How To Reach: Dharamshala is well connected with Delhi & Chandigarh by HRTC & HPTDC Volvo services. You can either take overnight Volvo to Dharamshala after reaching Delhi or Chandigarh or you also have an option to fly to fly directly to Dharamshala airport. Once you reach Dharamshala, you can take a local taxi to reach Mcleod Ganj. Things To Do: Monastery visits, shopping, Tibetan culture, and cuisine, partying, walks, hikes & treks, enjoy snow/snowfall. Why Choose: Excellent views of Dhauladhars mountain range, nice cafes all around Mcleodganj and a lovely hike to Triund. Offers a wide variety of stay options including some authentic Tibetan culture themed stays. A decent number of stay options available including the luxury stays. Finally in this touristy category of honeymoon destinations in Himachal are Dalhousie – Khajjiar region. Not to forget that Khajjiar is also popularly known to be the mini Switzerland of the India. How To Reach: One of the most convenient ways to reach Dalhousie is to take a train to Pathankot and then travel by taxi to Dalhousie – Khajjiar. 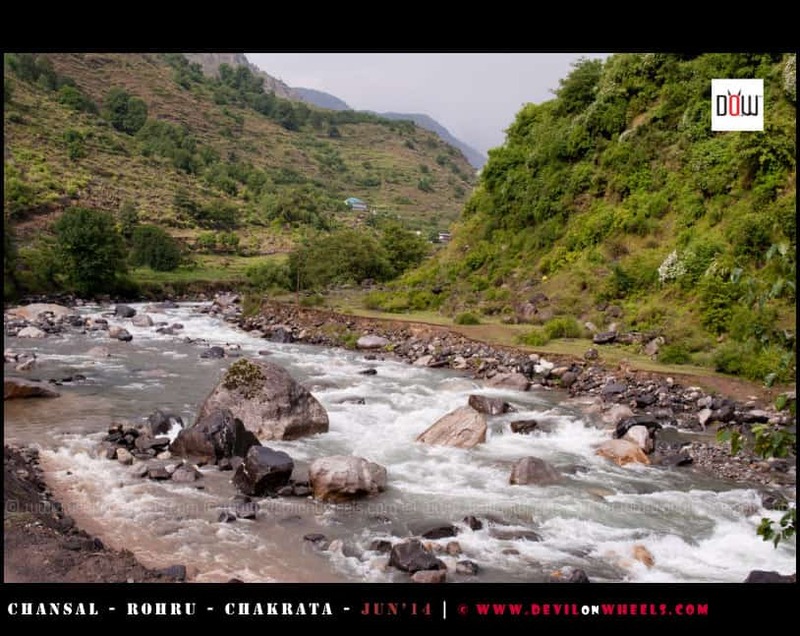 Chamba is ahead of Dalhousie – Khajjiar and well connected by road. Otherwise, buses are also available easily from Delhi and Chandigarh to reach Dalhousie and then travel by taxi to Khajjiar or Chamba. Things To Do: Sightseeing, walks, hikes, enjoy snow/snowfall, snow activities or other tourist activities like zorbing, horse rides etc..
Why Choose: Popular and touristy place. Likelihood of finding snow in winters and not that much populated like Manali or Shimla. A decent number of stay options available in Dalhousie and Khajjiar while Chamba has limited stay options. Also, not many luxurious stays are available in this belt. Some people club it with Dharamshala and Mcleoad Ganj but I will recommend to avoid it. Let’s looks at the honeymoon destinations in Himachal based upon the traits where you can mix the romance with seclusion, peace, comfortable and luxurious stays. There will be less number of tourists in these places so that you can enjoy calmness with your loved one in Himachal. Naggar Castle is one of the most romantic places in Himachal Pradesh in my honest opinion. In fact, I had spent my honeymoon up there in Naggar too, so maybe I am being a bit biased 🙂 … But, overlooking the valley, Naggar offers some stunning views and peace around you. No doubt why Himachal Pradesh tourism packages have Naggar stay in them. How To Reach: Naggar Castle can be reached from Manali as well as Kullu. If you are coming from a Volvo, then get down at Kullu from the bus and take a taxi to Naggar from the Kullu taxi stand. Similarly, a taxi can be used to reach Naggar Castle from Bhuntar airport in case you took a flight to Bhuntar. Things To Do: Relax, walks, hikes, Roerich art gallery, hike to Krishna temple and a day visit to Manali and Rohtang Pass for snow or snowfall and other activities which Kullu – Manali has to offer. Why Choose: Naggar Castle offers one of the most romantic views in entire Himachal Pradesh. Lunch or breakfast on the balcony of the restaurant will mark a romantic date for you on any day of the year. As categorized, it does offer seclusion, peace and luxurious comfort if you stay at Naggar Castle. Very fewer tourists visit this place, so away from hustle bustle. If you want to mix the touristy Shimla with peace, then Narkanda – Matiana can be clubbed with your honeymoon trip to Himachal Pradesh. Hence, on #8, I have them listed on this list of honeymoon destination in Himachal Pradesh. How To Reach: As you reach Shimla, Narkanda is just 60 KMs ahead of it. You will need a taxi from Shimla if traveling by Volvo or by air to Shimla. Otherwise, if you have your own taxi or self-driving then, in that case, you can continue about 50-60 KMs on Hindustan – Tibet Road from Shimla to reach Matiana – Narkanda region. Things To Do: Snow, snowfall, a visit to Hatu peak and Tannijubbar lake. You can also choose to walk/hike around and visit some nearby apple orchards. People also make a day visit to Shimla and Kufri from Narkanda. Why Choose: Away from hustle bustle of a large number of tourists, spend time on your honeymoon with peace and calmness while still in reach of popular tourist place like Shimla. Limited options for stays available. In case you do not want to travel too much far into Himachal then Kasauli is a place where you can book an nice stay, may be off the track a bit, where you can enjoy your honeymoon. How To Reach: Kasauli can be easily reached by road using the Himalayan expressway while coming either from Delhi or Chandigarh. If you prefer traveling by train, travel to Kalka and then travel by road to Kasauli. Things To Do: Walks, hikes, and access to a number of restaurants on the road. Why Choose: Extremely close to Delhi and Chandigarh, just an hour drive from Chandigarh. Gets fewer tourist footprints than Shimla on the same route. Let’s looks at some of the offbeat honeymoon destinations in Himachal based upon the traits where you can mix the romance with nature and tranquility. These lesser known places in Himachal will help you spend some quality time with your loving partner no matter what the season. If you are one of those couples who want to visit some offbeat places for honeymoon in Himachal, then you should consider Chindi and Karsog being in the proximity to Delhi or Chandigarh especially. How To Reach: You can reach either Shimla or Mandi by Volvo buses and then take a taxi to Chindi – Karsog Valley area. If you are self-driving, then you can opt to travel from Shimla side and come back from Mandi side or vice-versa. Things To Do: Enjoying nature, walks and nearby hikes. Visit Tattapani and spending time besides the Satluj river. Best Time To Visit: Being offbeat, all seasons are good to visit Chindi – Karsog Valley including summers with pre-bookings. Why Choose: Offbeat, nature, seclusion, more time to know each other and a greater feeling of togetherness than other places. Only HPTDC accommodation is a decent option to stay at Chindi. Some options are available in Karsog too. Next on this list of offbeat honeymoon destinations in Himachal Pradesh is my favorite family destination of Himachal, Tirthan Valley. Located beside the Tirthan river, you can visit Jibhi or Tirthan Valley on your honeymoon to enjoy seclusion and calmness midst sheer nature. How To Reach: You can travel to Tirthan Valley either from Mandi – Kullu route or from Jalori Pass via Shimla – Narkanda side. I will suggest doing full circuit if Jalori Pass is open during the time of your visit. Reaching Shimla and Kullu is already explained in the article, so I will skip that part. 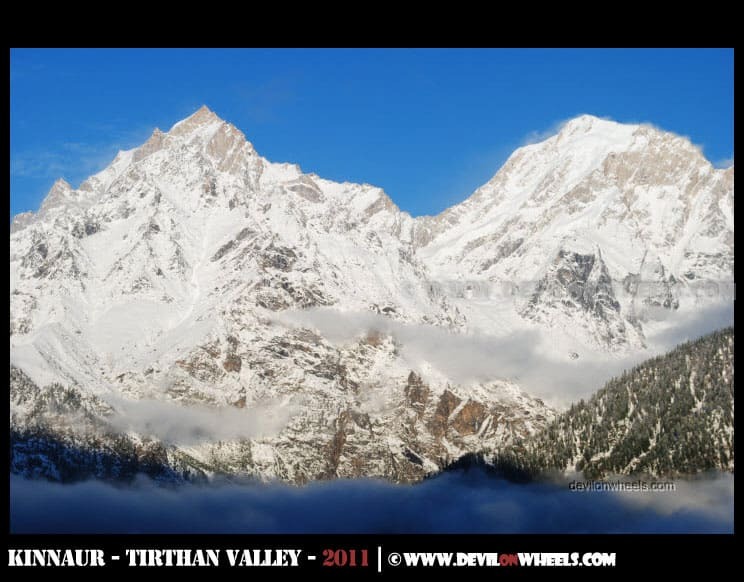 You can read more details on how to reach there in Tirthan Valley Travel Guide. Things To Do: Spending time besides the Tirthan river, fishing/angling, enjoying nature, walks and nearby hikes. Visit Jalori Pass and Serloskar Lake. Best Time To Visit: Being offbeat, all seasons are good to visit Tirthan Valley including summers with pre-bookings. 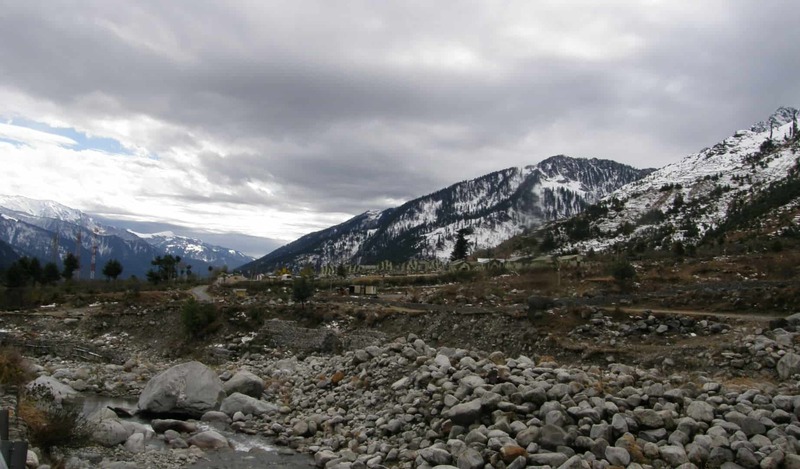 Winter is dry and takes away the charm of spending time at the river, the highlight of visiting Tirthan Valley. Why Choose: Offbeat, nature, seclusion, more time to know each other and a greater feeling of togetherness than other places. Excellent hikes in Great Himalayan National Park and to nearby Waterfalls. Pabbar Valley is another not so known places in Himachal Pradesh where you can visit for your honeymoon in case you are looking to spend time in a offbeat place. How To Reach: You can travel to Pabbar Valley from Shimla or Dehradun or Poanta Sahib side by taxi or by your own car. The worst part of visiting the Pabbar Valley is extremely bad road conditions with potholes. Things To Do: Experience snow or snowfall, spending time besides Pabbar river, enjoying nature, walks and nearby hikes. Visit Chansal Pass and remote villages of Dodra – Kwar. Best Time To Visit: Mostly good to visit in all the seasons with access to snow at Chansal pass in winter and spring seasons. Why Choose: Excellent views, offbeat, nature, seclusion, more time to know each other and a greater feeling of togetherness than other places. Last on this list of offbeat honeymoon destination in Himachal Pradesh is Rajgarh. It is again not so far from Delhi or Chandigarh and especially in winter, you can find snow as well around Nauradhar and Haripurdhar. It is the base place of Churdhar trek. How To Reach: Rajgarh can be easily reached by road using the Himalayan expressway while coming either from Delhi or Chandigarh. Rajgarh is little ahead of Solan where you have to take a diversion from Chandigarh – Shimla highway. If you prefer traveling by train, travel to Kalka and then travel by road to Rajgarh via Solan. Things To Do: Experience snow or snowfall, enjoying nature, walks and nearby hikes. If interested, you may visit Bon monastery at Solan or also opt to spend some time at Giri river. Why Choose: Excellent views especially towards Nauradhar and Haripurdhar, offbeat, nature, seclusion, more time to know each other and a greater feeling of togetherness than other places. Extremely less tourist footfall and very limited stay options. Read this fabulous family travel tale on Rajgarh in DoW Community. I could have added Mandi region that covers Barot and Prashar Lake in this category. However, I intentionally chose not to add them because in my opinion you at least need more than a decent stay with a hint of some luxury and above average comfort. 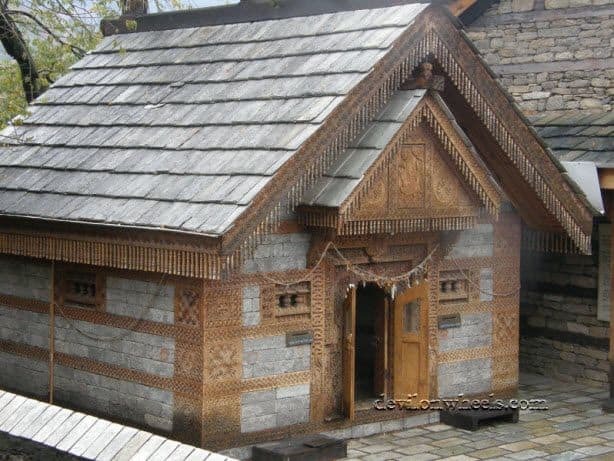 Barot and Prashar Lake only offer very basic or average stays that you may like to keep spare for some other trips once you tread more path in your new age of life. The last category of the honeymoon destinations in Himachal is based upon the traits where you can mix the romance with real adventure, raw nature, basic homestays and concept of living with the locals. Only adventure tourists visit most of these places and being adventure destinations, do not expect much from them in terms of a comfortable trip. If you are looking for a balance of adventure and comfort, the Kinnaur Valley makes an ideal choice for a honeymoon destination in Himachal. How To Reach: You can reach Kinnaur Valley from Delhi or Chandigarh on the second day with an overnight halt at Narkanda or Shimla or Chail. Kalpa is about 595 KMs from Delhi while Sangla Valley is about 582 KMs from Delhi. You can read more details in Kinnaur Valley Travel Guide. Things To Do: Enjoy nature, walks, hikes & treks, snow/snowfall, sightseeing, road trip. Why Choose: Very much offbeat, high altitude offering some breathtaking views and landscapes. A little feel of adventure but can be contained within. Some roads are bad but the majority travel is OK. Finally, if you are one of those couples who want to live the raw adventure on your honeymoon trip, then Spiti Valley should top the list of these honeymoon destinations in Himachal Pradesh. How To Reach: You can reach Spiti Valley either from Manali side or from Shimla side. 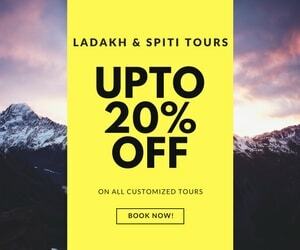 You can read my in-depth guides on how to reach Spiti Valley from Manali side and how to reach Spiti Valley from Shimla side to get all your answers. Things To Do: Adventure, road trip, biking, cycling, rafting, enjoy snow/snowfall, sightseeing, nature, walks, hikes, experience local culture, visit Buddhist monasteries and lakes, go for long treks and stay with locals in homestays. I hope that the above article will help you decide your honeymoon destinations in Himachal Pradesh based on your taste and offerings from these places. 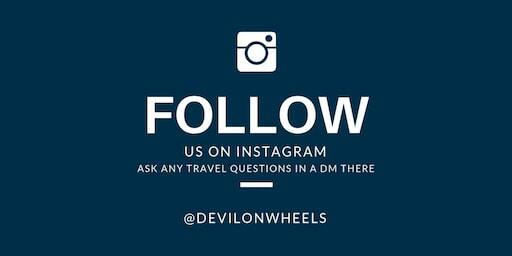 In case you have any questions, please feel free to post them in the comments section below in the article or reach me on my Instagram account in a DM. Have you already been to these places? Do share with us about your experience as well or any tips you may have for people traveling to these places on Honeymoon. I am sure your inputs will be extremely useful to other newlywed couples looking forward to planning their honeymoon trip as well. In the end, this article is only about Honeymoon Destinations in Himachal Pradesh and you can see how confusing it can get to find the right one for you. Well, recently I was introduced to this easy to use Honeymoon Selector Tool by Expedia. This tool helps you choose and find more about a honeymoon destination in the world in just two easy steps. You need to first pick the month, then the budget and off you go to find more about the filtered destinations in your criteria.